Vicky’s second child, Nancy Elizabeth, is now nine months old and will be looked after by family as Vicky – who also has a three-year-old son, Charlie – returns to Burcot. Vicky has been connected to Burcot for nearly 17 years, having started as a waitress when completing her Duke of Edinburgh Gold Award. She then worked part-time as a carer. After sixth form, Vicky took a gap year and worked in admin which helped her realise she wanted a career in nursing. She trained at Birmingham University while still doing some care shifts at Burcot. In 2007, after successfully completing her degree in adult nursing, Vicky came back to Burcot full time as head of care and went on to become deputy and then general manager. 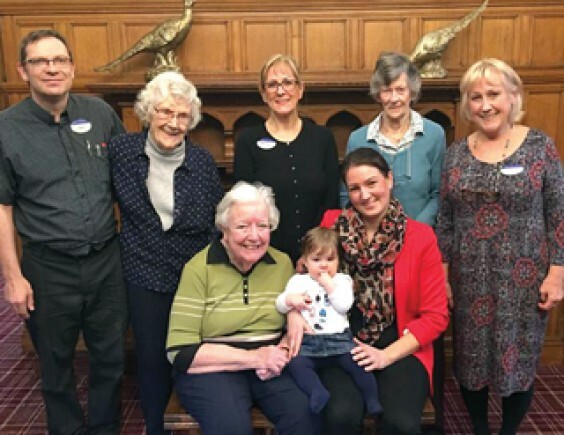 Vicky’s family connection with Burcot Grange goes back many years. Her grandfather worked as a gardener when the Grange was a private estate and her grandmother worked as a nurse when it developed to the Birmingham Eye Hospital.